There are a lot of iconic guitars out there and a lot of iconic album covers. Sometimes, the two collide. Take a look at these famous albums and get the back story on the guitars that grace their covers. 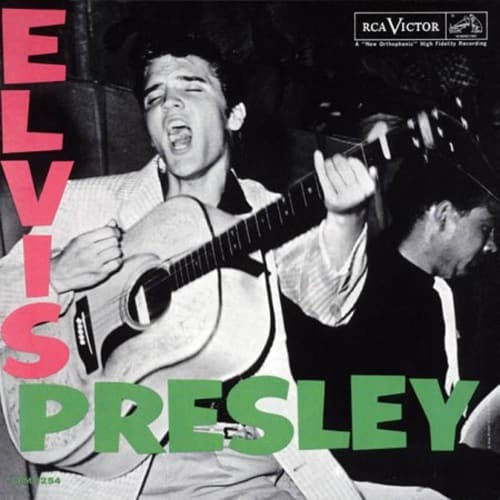 The famous picture of Elvis singing on the cover of his debut album may as well be a picture of The King heralding the arrival of rock 'n roll in mainstream culture. In his hands is a Martin D-28 wrapped in a custom leather cover which Elvis began playing as his main instrument in mid 1955. By 1956, however, Elvis changed to a jumbo Gibson J-200 as his primary guitar. 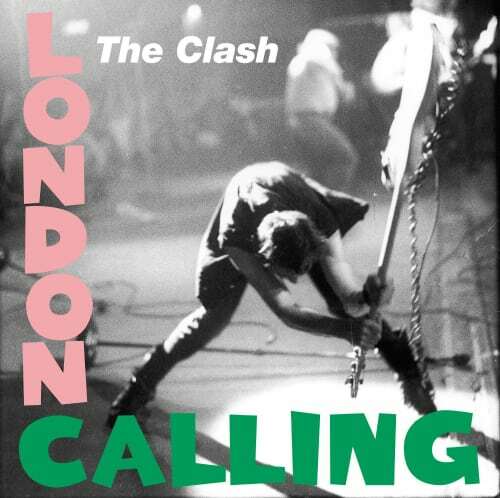 In stark contrast (and clear homage) to the rock 'n roll exuberance of Elvis comes London Calling, featuring an iconic image of Clash bassist Paul Simonon destroying a White Fender Precision Bass. Since this photo was taken, Paul has expressed regret at smashing the bass which he cites as one of the best sounding basses he ever played. The tatters of this very bass currently hang on the wall of the Rock and Roll Hall of Fame. 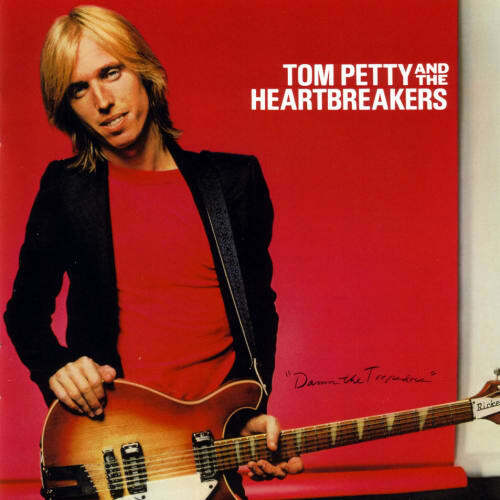 On the cover Tom Petty and the Heartbreakers' landmark Damn the Torpedoes from 1979, Tom holds a 12-string Rickenbacker 625-12. What's notable about this specific instrument is that it was actually a prototype model that Heartbreaker Mike Campbell came across while combing through the local classified ads. Even more remarkable is that this guitar is one single serial number away from the 1963 360-12 prototype Rickenbacker gave to George Harrison. The Torpedoes cover helped spark a renewed interest in Rickenbacker solidbodies, and like the smashed Clash bass, this particular Rick currently resides in the Rock and Roll Hall of Fame in Cleveland. 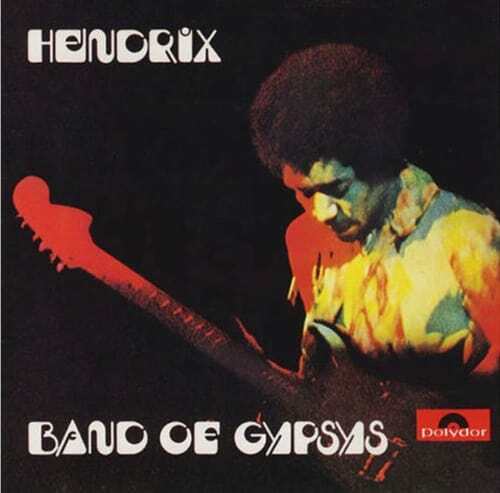 There's not a whole lot of mystery to the fact that Jimi Hendrix is playing Strat on the cover of the live album, Band of Gypsys. This particular Strat, however, is a 1968 Black Fender Stratocaster featuring the enlarged CBS-era headstock and Maple fretboard. This Strat was bought new by Jimi in October of '68 and would be played through the rest of his career as one of his go-to instruments. Mark Knopfler is associated with many guitars including Gibsons, Fenders, Schecters and Suhrs. 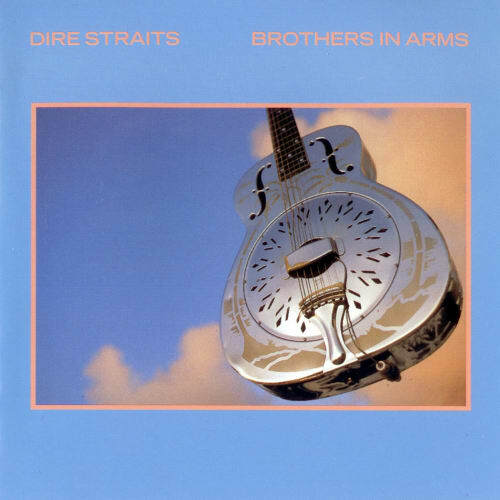 Perhaps the most iconic guitar when it comes to Dire Straits, however, is the 1937 Style 0 National Resonator seen in all its shiny glory on the cover of 1985's Brothers in Arms. While not the only resonator Knopfler owned, this national can be heard on most of the band's albums, Brothers in Arms included. 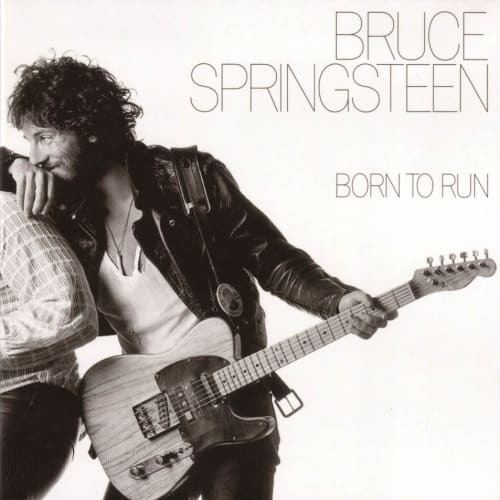 The Boss' mainstay axe seen on the cover his breakout 1975 album Born to Run looks on first glance like a run of the mill Telecaster. Closer inspection reveals that the guitar is actually a '50s Fender Esquire modified with an extra pickup at the neck. Many have speculated as to the true origins of this iconic guitar, and like many vintage Fenders, the exact date is unknown. This same guitar shows up on the cover of 1992's Human Touch and multiple compilations and greatest hits releases. 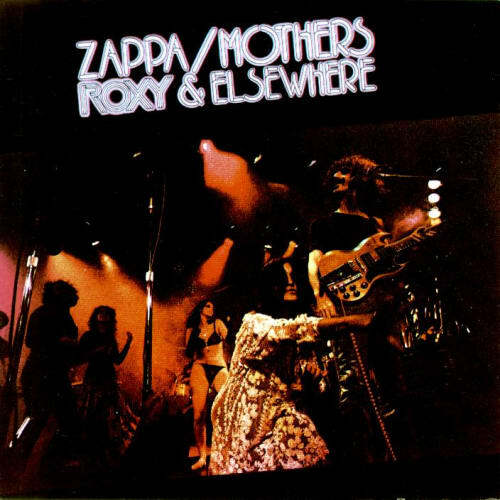 Roxy & Elsewhere is often cited by Zappa-heads as perhaps the quintessential Mothers' live album. The work is taken from a few different recorded live performances with some overdubs thrown on top all of which display Frank's unbridled virtuosity and innovation in this era. For these recordings, Zappa deployed a modified '60s SG Special with swapped humbuckers. So iconic is this guitar in the Zappa legacy that Gibson actually released a reissue of it last year. 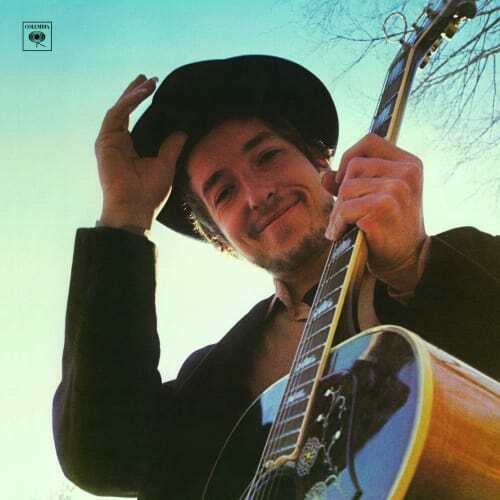 Released in 1969, Nashville Skyline saw Bob Dylan explore a new vocal style and country-tinged set of songs. It seems only fitting that in this era, Bob relied on that most country of flattops, the commanding Gibson SJ-200 super jumbo. This particular guitar was actually gift from none other than George Harrison and can be seen in images of Dylan playing at the 1969 Isle of Wight Festival. 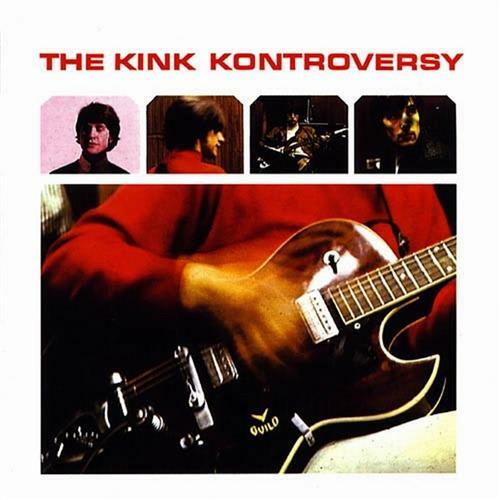 The Kink's third album, The Kink Kontroversy, was something of a transition from the band's earlier British Invasion sound to the more sophisticated style heard on such releases as Face to Face and the The Village Green Preservation Society. The guitar on the cover is a Guild Starfire III with humbucker pickups (the first generatoin featured single-coil DeArmonds) which belonged to Dave Davies. Davies was known to play some offbeat models including the Fender Coronado and Gibson L6-S.